How Are Plastic Pallets Made? Plastic pallets are manufactured at an injection molding facility. But how do these individual designs come into existence, from planning to production? The path is complex, but entirely necessary to ensure that the product is a success. In order to create the perfect plastic pallet, all of the functional details and design features need to be planned out to satisfy the pallet’s end use and purpose. For example, what material it will be made from, if it’s going to be light or heavy duty, stackable, rackable, or nestable? These are just a few of the things that are important to consider when creating each individual pallet. Though there are many different ways that pallets can be molded, the most common method used in our plastic pallets is, high pressure injection molding. During the process of designing a plastic pallet, many things come into consideration. Things such as the purpose of the pallet and how it will be transported, stored, what industry will use the pallet. All these considerations impact and contribute to the design, material, weight, and durability of a pallet. Once the design for the plastic pallet is in place, the mold will be made to make that exact design. 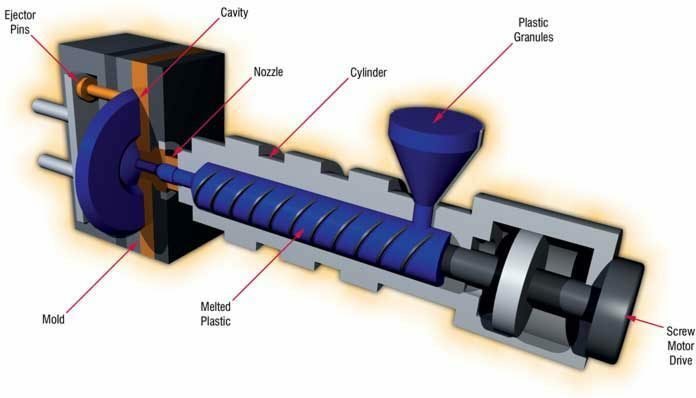 High pressure injection molding is the process in which virgin plastic and colorants are mixed and melted together in a barrel or mixing chamber, before being injected into the mold. The mold is clamped together with mass pressure before being injected. 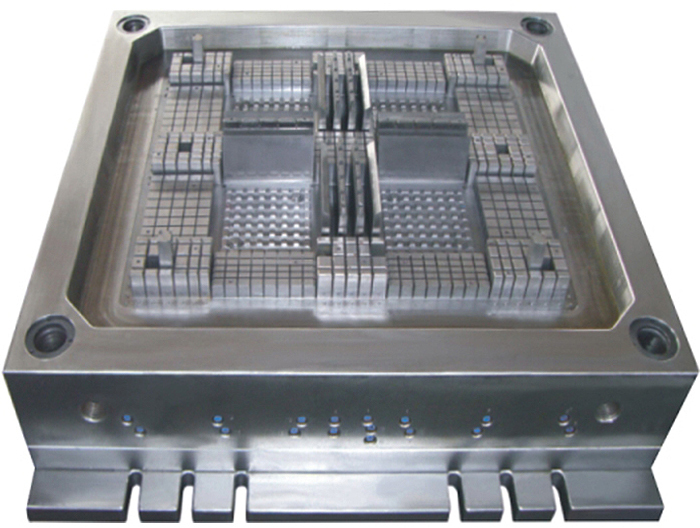 By using high pressure injection molding, pallets injected inside the molds will have a faster production time than any other molding method. By injecting the melted plastic resins into the molds, the finished pallets will come out with the most detailed and accurate design as possible! When using high pressure injection molding to create large quantities of high quality, plastic pallets, production times become more efficient. By increasing production speed and being able to produce plastic pallets in mass quantities as fast as possible, it reduces the risk of being scarce. Also, with a production process such as this, it is easy to customize and change designs and molds, making it possible to produce pallets for even the most specific needs! Let us know what you think of the plastic pallet production process!